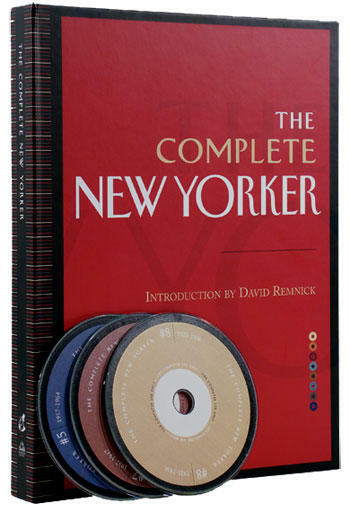 When Hurree Babu informed me that The Complete New Yorker (on 8 DVD-ROMs) is now available at The Book Shop, Khan Market, I bunked my two major assignments for the day, drove over and spent 45 minutes in the shop, turning the sealed box over in my hands repeatedly while the owners looked at me askance. It’s hard to believe. Eighty years of one of the world’s great magazines, available in a box no bigger than a breakfast cereal packet. The user comments on Amazon make for interesting reading. Predictably almost everyone is gushing, but some of them have pointed out that swapping between DVDs is inconvenient (apparently the data can’t be transferred to your hard drive). As one user says, “Using the DVDs is not quite as smooth as using the Web. I guess we’ve been spoilt.” True enough; I remember how avidly I used to browse my “Cinemania” and “Great Books” CDs in the days before I got an Internet connection. But once I’d gotten online (even though it was a slow dial-up connection) the CDs were put away for good and forgotten. Doubt that’ll happen with the New Yorker set though. 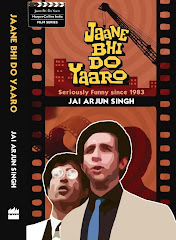 I’ll probably pick it up this weekend; the whole thing’s available for just 78.5 dollars, or around Rs 3,600. Meanwhile, mini-reviews would be very welcome from anyone who's already tried the thing out. And Hurree has promised to put up a comprehensive post sometime, keep a look out for it. Similar reaction, although what was a 45 minute drive for you was for me a 4 second hop from my sofa (where I saw the ad in the latest New Yorker) to my computer where I ordered it online. In my hurry to order one of the "limited copies", I missed checking the Amazon site - I paid 100 dollars at the New Yorker online store, but I get a "Free New Yorker Cap"! The software is pretty good and searching is reasonably decent. You can compile your own reading list of articles you want to read. You can bookmark a page to go back to in the future. The only drawback is that the pages of some of the older issues are a bit faded, atleast on my comp. Also i havent tried printing any of the pages yet so i dont know how they come out. Thanks Avinash. One of the problems I might have to overcome is my low attention span when reading stuff online - guess the printing facility might help in that sense. And yes, the volume of information must be staggering. 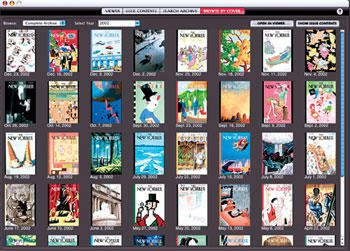 I was just trying to picture what it would be like to have every New Yorker (in the magazine form) published since 1925. Parmanu: it was a 15-minute drive and a 45-minute numb-look browse. And I get it for 78 dollars! Yr post on Insaaf Ka Tarazu got my mind ticking. I love Pop-culture and Kitsch. And our cinema of the 70's and 80's gave us some real gems ;) Still watch the post-midnight movies on Star Gold, Zee Cinema etc. Google earth - As someone who's just shifted to Ugly Bombay from Beautiful Delhi, most of my free time goes surfing google earth for Delhi roads...my house, my school... It makes a complete nostalgia trip!